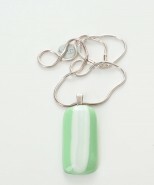 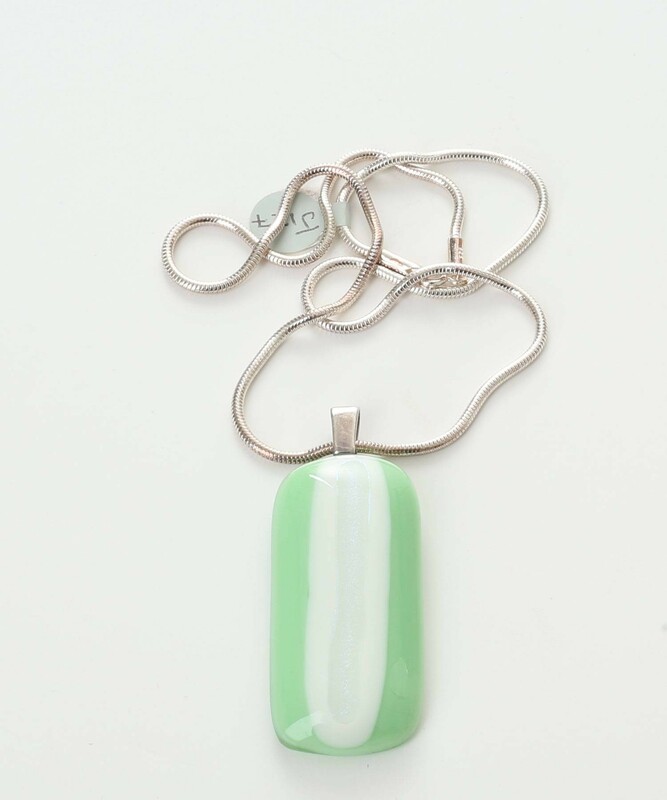 Beautiful hand made fused glass pendant by Scott Irvine. 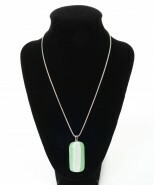 This unique pendant in green with a white shimmer down the centre, comes on an 18" sterling silver snake chain and in a presentation box making it the ideal gift. 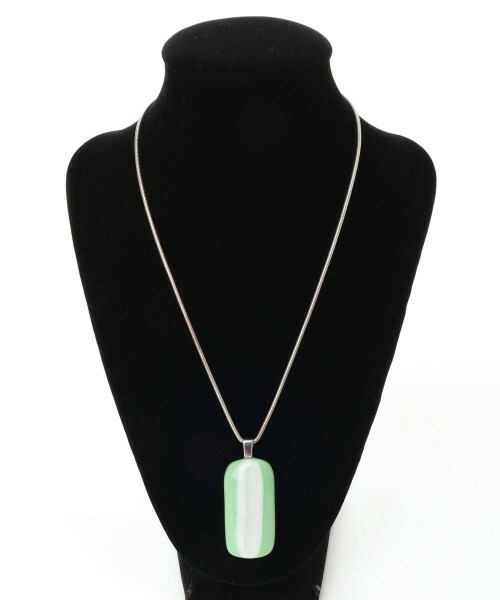 The designs of Scott's fused glass are inspired from the natural landscape of the Pentland Hills near his Balerno Home. Scott has no fear in using a very varied colour palette but likes to complement his designs by incorporating iridescent and dichoric glass to create a dramatic fusion of effects.